Happily married with an 8 year old boy and a 7 month old baby girl, my husband Michael and I found out we were expecting twin boys. Like a lot of women, I had a normal and healthy pregnancy with lots of doctor appointments and ultra-sounds, all of which checked out normal. On January 31, 2011, our fraternal twins, Hunter and Aeden, were born – weighing in at 7.5lbs (Hunter) and 5.15 1/2 (Aeden) via c-section which was perfectly safe for mom and babies. We began to feed both of the boys within an hour of their birth and noticed that Aeden was not interested in feeding but thought we would give him some time to adjust. About 12 hours after their birth, a nursing assistant came in to check the boys’ vital signs and could not pick up a temperature on Aeden and indicated that she was going to take him to be put under a warming lamp. Approximately 2.5 hours later, we received a knock on the door from the chief Neonatologist saying that Aeden had been admitted into NICU. My heart sank. After all, I thought he was just right outside the door under a warmer. My husband and I immediately went down to the NICU to see Aeden wrapped in several blankets in an isolette and were told that he still had some feeding issues and was noticeably “floppy” so he would be kept there overnight for observation. That overnight stay turned in to 14 days of testing, and NG tube on top of worry and concern from us. Just to name a few of the studies - a blood gas, PKU, micro chromosomal array, and newborn screen were done. Everything was normal except for Aeden’s ammonia levels, which were slightly elevated, but still within normal range and the newborn screen’s propionic acid level was slightly elevated. Both tests were repeated and both were reported normal. The ammonia level never sat right with me though. I can remember sitting on my couch and getting the phone call that reported those “slightly elevated results” and Googled “elevated ammonia levels”. To my horror, all I saw were things related to kidney and liver disease. The more I read, the more I sobbed. We finally brought Aeden home on Valentine’s Day 2011 and couldn’t be happier to finally have our family of six all together. For the next several weeks, things progressed as they would with any new baby, BABIES in our case. At six weeks old and already having been diagnosed with severe acid reflux, Aeden got sick for the first time with a cold, which resulted in respiratory distress - ultimately landing him a six night stay in the hospital. After a bout of tests, we were told he had a bilateral sinus and ear infection and were sent home. 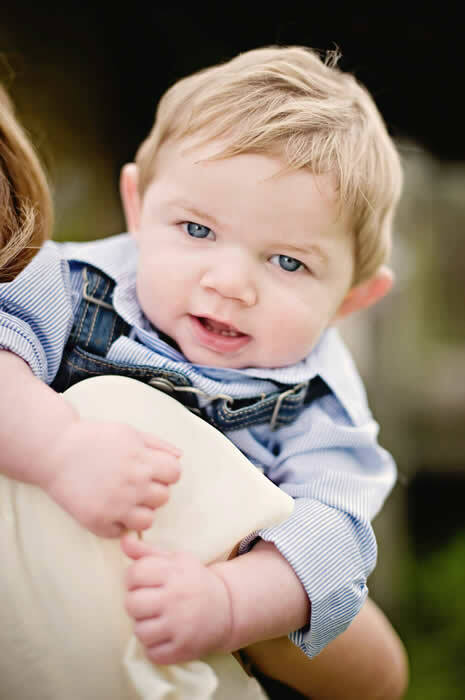 Weeks and months went by, and Aeden was not developing at the rate that his twin brother was developing, feeding issues were constant and exhausting and more diagnoses were given - such as torticollis, failure to thrive, and respiratory distress with myoclonic arousal. At this point, Aeden had been readmitted to the hospital numerous times and reasons and saw a twelve specialists, all of which ran tests (inpatient and outpatient), including 3 pharyngograms, 2 EEGs, an MRI, sleep study, bronchoscopy, and more blood work than I care to recall. No one could seem to figure out what was going on with our little guy, but in the back of my head I knew that something wasn’t quite right. Mother’s intuition maybe. At ten months old, Aeden’s feeding issues were worse than ever and it took upwards of 60 minutes for him to take 1-2 ounces of formula by mouth. He had fallen off the growth charts and his overall state was declining daily it seemed. Our pediatrician and GI recommended a feeding tube and NISSEN (to eliminate reflux / aspiration issues) so that he could become nourished and healthy again. We saw a pediatric surgeon and within one week’s time the feeding tube was in. While in surgery, several vials of blood were drawn for labs that had previously been ordered by a few of his specialists. We were in the hospital five days and quite a few of the lab results came back while we were still there. One of Aeden’s metabolic panels revealed very elevated B12 levels and when I asked for an explanation, I was told by the neonatologist that it was most likely of no concern since most B12 issues arise with deficiency. Needless to say, I didn’t like that answer. I requested further research and the next day was told that our GI would be consulted for further review. Four weeks post op, Aeden was putting on weight like a true champ and had gained close to five pounds. Still no news on the elevated B12 levels from the GI and my mind began to wonder. Again, I went to the internet and found more information that pointed in the direction of liver disease. I made an appointment to see the GI and, like most doctor appointments we had already gone to, I walked in with a list of questions. After weighing and assessing Aeden, the floor was opened for questions and I anxiously awaited answers to the questions I had thought about for the last month. Most importantly, I wanted to know why his B12 levels were nearly double the normal level. There had to be a reason. The information I was given was the same as before - B12 typically only causes a problem when a person is deficient and I had no reason to be concerned. But I was concerned, and I was becoming mad. Something was clearly wrong. After loading Aeden in the car and driving away from that appointment, I can vividly remember calling my husband with fury in my voice and tears pouring down my face. I wanted to see a geneticist and I wanted it now. The same afternoon, I emailed Aeden’s pediatrician to give report on how the visit went and express concern for wanting to see a geneticist. I received a phone call bright and early the next morning with support and direction, as always. 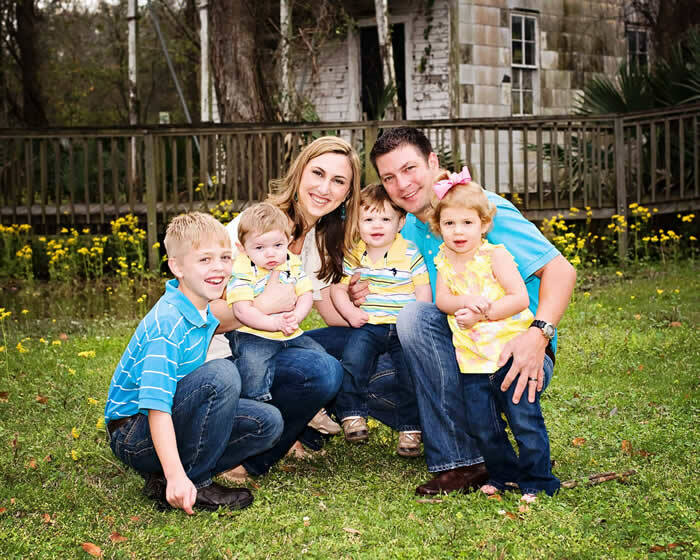 We needed to consult Aeden’s neurologist for an accurate genetic referral and that same day, we made an appointment. The first geneticist we saw spent four and a half hours with us gathering Aeden’s medical history and putting together family trees. Blood work and a urine study were to follow in the coming days for many organic acid studies and one genetic test that had not yet been done. That day, he was diagnosed with Hemi facial Microsomia and it was suggested that more genetic problems could potentially be in store since that was clearly a genetic defect but we would have to wait and see. On Friday, December 13, 2011, I received a phone call from the geneticist that would forever change my life. The test results were in. I was told that Aeden’s methylmalonic acid and homocysteine levels were extremely elevated. Those levels, with Aeden’s clinical symptoms were suggestive of a genetic, metabolic disease known as Methylmalonic Acidemia (MMA) and that we were immediately being referred to a metabolic specialist 75 miles away in New Orleans, La. Without even knowing what this disease was or how it would affect Aeden, I was relieved beyond belief to be able to give his symptoms a name. I dropped everything and went to pick up Aeden. We went home to pack and met my husband on the side of the road en route to Children’s Hospital in New Orleans. Upon arrival, we met Dr. Mike Marble and his team in the ER. More urine and blood work was done. Dr. Marble explained to us that Methylmalonic Acidemia was a genetic, metabolic disease in which the body had a defect in the pathway that breaks down protein and how this was affecting our son. Apparently, the elevated B12 levels were an end result to his body not being able to break down protein thus causing those levels to skyrocket. It all started to make sense. We were told that because this disease is genetic, there is no known cure. However, he would be admitted to the hospital and started on treatment immediately. That night, Aeden began taking Hydroxcobalamin IM injections, Biotin, and Levocarnatine. We later added Betaine and Folic Acid to his daily regimen. Today, Aeden is thirteen months old and is a happy boy! With weekly physical & occupational therapy and the love and support of so many people, he is getting stronger and improving by leaps and bounds and we are very hopeful of what the future holds for him. His MMA and homocysteine levels have decreased significantly and are very close to normal range. His improvement has been remarkable to watch and we are blessed beyond words to have found a diagnosis, start treatment and determine a subtype for his disease (CblC). God is good!